Exposed brick walls are as popular as ever, adding beautiful features to homes old and new! Here’s some ideas for how to use yours at home. Exposing a wall or area of brickwork creates a totally different feel; adding warmth, colour and texture. Before you tackle your plaster, check out the quality and colour of your bricks. Are they the right colour? Do you want to expose every wall or just a couple of zones? Make sure you check with your local building regulations department before you get started, they will be able to tell you if there are any restrictions when it comes to exposing your wall of choice. It’s possible that there may be insulation requirements to fulfil, especially if the wall in question is external-facing. An exposed brick wall splashback is a clever way to add a rustic feel to your kitchen. Once exposed, the brickwork will need to be sealed for protection. It’s worth noting this option isn’t as easy to wipe down as a traditional tiled splashback. A popular choice is to bare a brick chimney chest, it makes a beautiful feature in a period home, drawing attention to the heritage of the property without overwhelming the room. It’s an ideal choice if you only want a flash of exposed brick. It’s important to maintain your exposed brickwork, we’ve taken a look at some basics when it comes to cleaning, preserving and living with exposed brick. We look at how to clean an exposed brick wall with non-hazardous brick cleaner and preserve it with our 5* matt brick sealant. 5 reasons to care for your garden furniture & 5 steps to the perfect finish! 1. Appearances matter. Give your patio furniture a new lease of life! 2. Rot and decay. Shield against damaging fungal attack for a longer life. 3. Usability. Nobody likes sitting on tatty furniture so refresh today and relax in comfort. 4. Cleanliness. Freshly coated surfaces are easier to clean and maintain in hygienic condition. 5. Protect your investment. Well maintained garden furniture will give many years’ service. Wooden garden furniture is divided into two principal timber types: hardwood (typically teak) and softwood (pine / cedar). This guide will help you to choose the best maintenance regime for your furniture, and will provide pointers to the best products to use to keep it looking as good as new. Ideally timber garden furniture should be stored indoors over the winter months to protect it from the worst of our British climate. At the beginning of the season, clean your wooden garden furniture with hot soapy water and agitate stubborn dirt with a scrubbing brush. Rinse with a soft hose. This method can be used on both hardwood and softwood furniture. Hardwood furniture can also be cleaned more quickly using a pressure washer, set to fan spray and max 1500 psi. This method is not suitable for softwood garden furniture as the strength of the water jet can cause damage by lifting the grain of the wood. Allow the timber to dry out for at least 24 hours and assess it for any repairs needed. When new, most garden furniture is supplied flat-packed and is assembled at home with screws and fixings. These inevitably slacken, leading to damage so spend ten minutes with a screwdriver / spanner / allen key to tighten everything up and avoid this common source of damage. Pay special attention to tightening table and chair legs, which are best checked upturned with no weight on them. If any screw heads or nuts threaten to bury themselves in the timber as you tighten, fit a washer. Replace missing fixings and if any wooden dowels are sitting proud, gently tap them flush with a hammer. Minor rot can be sanded and filled or patched up with “Kingfisher Wood Filler”. Cut out any rotten timbers and replace with new. Gently sand any areas where black mould or other contaminants have stained into the surface. This is especially important on table tops and an electric orbital sander with a fine grit paper really takes the pain out of this task. Vacuum up all the dust and wipe down the surfaces with a clean rig dipped in a little white spirit. Treat with a penetrating timber preserver to protect your garden furniture from fungal decay. Kingfisher’s traditional wood preservative is a high quality oil based preservative available both as a clear coat with built-in water repellent and in a range of attractive colours. This will protect new and existing garden furniture from fungal decay, an essential primary treatment for garden furniture. K-X10 Wood Stain is trusted by thousands of joinery manufacturers, to provide a durable and elegant satin finish on most types of timber. “Kingfisher” K-X10 provides long lasting protection against driving rain and damaging U.V rays in a premium grade decorative finish. Available in clear and a wide variety of colours as well as a clear topcoat with a sheen finish. On hardwoods we recommend one coat of “clear” to allow the naturally darker colour to show through. With the softwoods, two coats are recommended and any of the colours will provide a stunning finish which still shows off the natural grain of the timber. For best results, use K-X10 wood stains after using our wood preservative. Finish off with topcoat for an attractive sheen finish (Optional). K-X10 Topcoat is the finishing touch to our K-X10 wood stain colours. This product will leave a subtle sheen and quality look and feel to your wooden furniture or outhouse. Not only contributing to the look and feel but also providing your wood with additional weather proofing properties. Our technical team offers support, if you have any questions about a project and need advice just get in touch! Want to ensure your home not only looks its best but is also well protected from the elements? We explain what you need to know about choosing and using masonry paints. 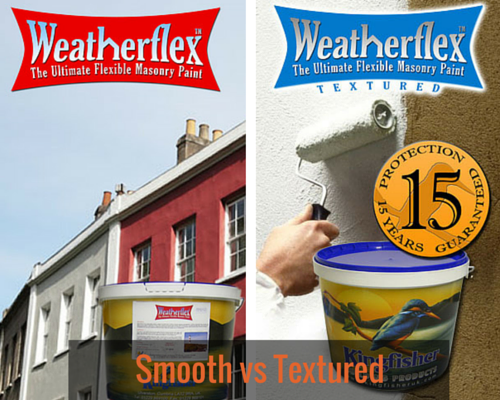 Maintaining the exterior of your property with Kingfisher’s Weatherflex Masonry Paint not only improves its appearance but crucially offers protection from driving rain, U.V degradation and frost damage. But how do you know if you’re choosing the right masonry paint for your project? Which masonry paint should I choose? There is a bewildering choice of masonry coatings available today. Water based, oil based, smooth finish and textured. Firstly choose respected brands only, “bargain basement” offerings use inferior polymers and are always more expensive in the long run. They tend not to cover well, may require additional coats so need more labour and don’t last as long as premium brands. In our tests we found that premium brands of both types provided excellent levels of weather protection, resilience and longevity. Oil based however, can be applied at lower temperatures which extends the painting season into winter for trade users. However, they are generally 50% to 80% more expensive than equivalent acrylic polymers and of course you need to factor in the cost of white spirit for thinning and clean-up of brushes, rollers and spillages. As most exterior painting is carried out between the spring and autumn, water-based coatings are easier to use as clean-up is with water. Smooth paints produce an even finish and are ideal for naturally textured surfaces like rendered finishes and brick or block-work. Textured paints usually contain sand or very fine aggregate blended through the paint to produce a rougher finish. It is often felt that textured finishes go some way to disguising surface imperfections such as mortar repairs or decayed stone / brickwork. Ultimately this is a decorative decision but bear in mind that all textured finishes give-away polymer content at accommodate the aggregate, so there is a credible case for “smooth” being tougher. Kingfisher’s masonry paints offer 15 years of protection guaranteed, we’ve earned a national reputation for durability and ultimate protection from penetrating damp. Don’t take our word for it, “Weatherflex” has been rated 5*’s online. As with all painting, correct surface prep is half the battle to achieving a successful finish. Use the correct products and methods to deal with flaking paint, render cracks and spalled bricks before picking up your brush and roller. 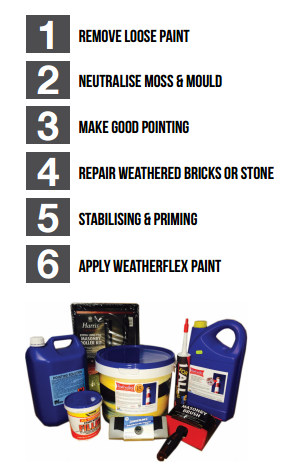 Weatherflex Stabilising Soloution is the perfect companion to masonry paint and allows you to effectively stabilise dusty bricks or harden walls in preparation for the application of Weatherflex. It improves adhesion, depth of colour, finish and of course reduces the amount of paint applied. Our stabilising solution is ready to use for application by brush or low pressure sprayer and one coat is normally sufficient. Now you’ve identified which paint and preparation products you need, our guide to re-coating your home provides a detailed step-by-step overview. With the right design know-how, an exposed brick wall can be the perfect, unique touch for any room. It brings organic character and warmth which isn’t found in plain drywall and can suit living and work spaces equally well! Let’s look at some basics when it comes to cleaning, preserving and living with exposed brick! We look at how to clean an exposed brick wall with non-hazardous brick cleaner and preserve it with our 5* matt brick sealant. The extent of cleaning required depends on the condition of the wall and the effect or “look” that you are going for. You can remove all plaster and paint residues or just leave them in place for added character. Our eco-brick cleaner is a water based (non-haz) formulation designed to remove dirt, carbon, and efflorescent salt deposits. Mixed with warm water and agitated with a deck scrubbing brush, you can clean large areas quite quickly. Stubborn deposits can be abraded with a stiff wire brush. Bear in mind that if you are doing the work in the course of a renovation and the building has not been wind / watertight, it may take several months for efflorescent salts to stop emerging. If you’re lucky enough to have some space that already includes a stunning brick wall, it shouldn’t need any decorative enhancement but what it will need is protection. The right sealer will provide some protection from staining, limit surface delamination and crucially control the problem of “dusting”. “Dusting” manifests itself as a gritty residue which accumulates on floors, furniture and anything else in the vicinity of the wall. It is a problem because the dust / grit is highly abrasive, marking veneered surfaces and potentially damaging computers and other electronic equipment. It happens because a mineral based (clay, sand, lime) surface in contact with heating dries out, causing granular particles to detach. Our clear matt brick sealant barely changes the look of the wall but protects the brick surface from disintegration and surrounding areas from the irritating dust problem. If you wish to paint an exposed brick wall, masonry paint usually works best. Clean the brick as described above, leave to dry for 12 hours & give it a quick vacuum before priming with Weatherflex Stabilising Solution and painting with Weatherflex masonry paint. We have a range of inspiring Lakeland colours available to order online, click here to check them out. As a rule, the earlier your home was built, the more likely it is you will find an attractive brick wall behind the plaster. This is not a cast iron rule but pre-1950's construction was mostly brick or stone and the less appealing brick types/ concrete blocks came into wider use later on. To check, just chisel plaster away from a hidden corner, or look through openings already in the wall - behind radiators or by unscrewing a socket, just make sure the power is off first! Some walls will have had sand / cement renders applied. These can be difficult to remove and may hide damp issues so proceed with caution and seek professional advice. In most cases it is advisable to stick to exposing internal partition walls. External walls tend to be much colder as they are exposed to the elements. This matters because you can trigger condensation problems if you remove the plaster or any insulation which may have been installed. We've lots of inspiration over on our Exposed Brick Wall board on our Pinterest! Follow Kingfisher Building Products's board Exposed Brick Walls on Pinterest. 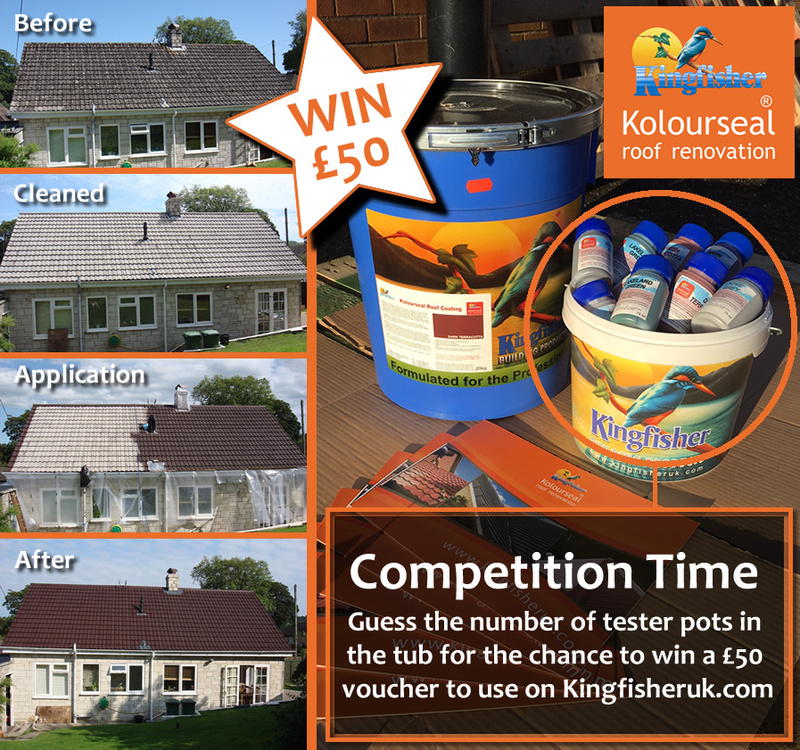 We are running a competition on our Facebook, giving you the chance to win a £50 voucher to spend at www.KingfisherUk.com! All you need to do is guess how many testers of our Kolourseal Roof Paint are in the tub pictured below and tell us your answer on our Facebook post for a chance to win! The competition ends on 29th February, we'll pick from the correct answers and post the winner on Facebook. Developed at our Lakeland factory for the worst of the British climate, Kolourseal Roof Coatings are designed for a 10 year life, and set new standards in severe weather protection and should not be confused with cheaper roofing restoration products. keyboard_arrow_downBecome a Kingfisher Approved Kolourseal Roof Coatings Installer! Our intensive one-day training course provides you with new skills and a wide range of useful benefits to help you build your business and gain positive feedback from both new and existing customers. Develop your knowledge of current coatings, understand latest techniques , preparation methods and avoid the pitfalls which can cost you money. Kolourseal Roof Paints are a range of advanced 10 year polymer roof coatings developed specifically for the restoration and re-coating of concrete roof tiles and many other roofing materials. Kolourseal performs as a roof tile sealant and colour restoration product, both repairing and protecting roof tiles. Learn to re-seal porous roof tiles and add depth of colour to a range of roof materials including; concrete, clay, cement fibre and even asbestos cement. Gain access to technical support direct from our UK based factory. Kingfisher Kolourseal Seminars are perfect for tradesmen starting out in the roof coating industry. There is a strong practical side to the course alongside the classroom element. The course includes spray coating in our factory demo area, so we advise warm casual dress. The Kolourseal seminar is ideal for roofing contractors looking to offer an additional service to clients. Coatings are all 'OEM' spec as used in new tile manufacture and are not to be confused with cheaper alternatives. General maintenance contractors and pressure cleaning companies would also benefit from becoming a Kinfisher Approved Kolourseal Installer. Get in touch for more information or book a course over on our training page. Follow Kingfisher Building Products's board Roof Coatings on Pinterest. keyboard_arrow_downWardrobe Malfunction â€“ Mouldy Clothes Alert! No, this is not fashion guidance for the sartorially challenged, this is guidance on what to do when horrible mould invades your wardrobes or cupboards! At this time of year we always get a few calls from distressed customers whose clothes have been spoiled by mould growth where they least expected it – in their wardrobe. However, the exceptionally wet weather has driven an explosion in this problem so we thought it was time to explain why it happens and what you can do about it. Firstly mould in wardrobes almost always happens with built-in units which are attached to an outside wall, as opposed to an internal wall with a room on the other side. This is important because outside walls are usually much colder than internal walls, simply because they are exposed to the elements. Many older properties don’t have any insulation built into the walls and if you touch them they often feel very cold indeed. Recent storms and heavy rain have left many walls with a high moisture content and a damp wall is a cold wall! Unfortunately very cold surfaces in our warm homes tend to attract moisture (condensation). Windows are cold to the touch and you will have noticed that condensation often forms on the panes during cold weather. It is a fact that warm air can carry more moisture than cold air (hence the violence of tropical storms) but it readily turns back to liquid when it meets a cold surface. What is less noticeable is when moisture gathers on cold walls. It may be less obvious (because wall surfaces are slightly more absorbent than glass) but the moisture is still there. It is this moisture combined with a lack of ventillation to dry it out that causes the problem of mould. Mould only needs two things to thrive: a nutrient source and a ready supply of moisture. The nutrient source can be any organic material – your favourite top or jeans will do and the moisture which is condensing on the cold back wall of your wardrobe. 1. Improve airflow within the wardrobe. Good ventillation is the enemy of black mould so have a clear out to give garments room to hang with air flowing around them. If possible, try to make sure that clothes have minimal contact with the cold wall surface. Leave the doors open slightly to allow air to circulate. 2. Improve ventillation in the room. Make sure brick vents have not been covered up by furniture etc. Open trickle vents in double glazed windows. If air quality in the room is generally poor then open the windows slightly, especially in winter. Often mould in wardrobes goes undiscovered for some time and if it has already damaged your clothing, strip everything out and launder / dry clean the garments. The inside of the wardrobe will no doubt have active mould growth which once established will continue to spread if left unchecked. Kill the fungus with Kingfisher Mould Cure the effective treatement to eradicate black mould spores. Having killed the black mould with Mould Cure you should repaint the inside of the wardrobe using Kingfisher’s unique Thermapaint double action formula which is both anti-condensation and anti-mould. You paint it on just like any ordinary emulsion paint but it has special heat reflecting properties and mould inhibiting elements to prevent black mould re-growth. Having taken the above precautions you can now reclaim and perhaps re-stock your precious wardrobe space with confidence! We understand the government has pledged a fund per household to help residents adversely impacted by the flooding but the timescale for delivery of this cash in uncertain. With Christmas only 9 days away, we understand that many people will be tackling “clean up” works themselves and with this in mind we are making our “Micro X5 Flood Sanitiser” available free of the £29.94 charge and with free delivery to all those affected. The danger from floodwater cannot be overstated as it is potentially contaminated with everything from sewage effluent to domestic and commercial rubbish. During clean-up you should as a minimum wear protective rubber gloves, rubber boots and face masks when handling contaminated materials. Remove all saturated floor coverings and furniture so that walls and floors are clear for treatment with “sanitiser”. It may be that contaminated plaster finishes have to be removed but this should only be done with the approval of your insurance company. 1 sachet makes 25 litres when diluted in warm, clean water and will treat up to 125 sq metres of floor and wall. “Mirco X5 post-flood sanitiser” has been produced to thoroughly disinfect flooded properties prior to commencement of reinstatement works. Although household disinfectants and cleaning agents will kill some bacteria, such products are not formulated specifically for flood water so will not disinfect the area completely. “Micro X5 post-flood sanitiser” is a broad spectrum sanitising solution which will Hepatitis, Salmonella, Listeria, MRSA and many other harmful bacteria that thrive in flood water. Being a professional formulation you must read the safety data sheet and product data sheet before use for guidance on protective clothing and correct methods of use etc. Find out more information here or just ask any questions you have over the phone on 0141 353 6996. Wishing you all the best from everyone at here at Kingfisher Building Products. With high winds and heavy rain a seemingly ever-present feature of the British climate, we are increasingly asked to advise our customers on how to deal with the dampness threat caused by driving rain. Whether you live in a brick built Victorian town house or a stone country cottage the problem of moisture ingress poses the same challenges. Not surprisingly most property owners simply want to know the best way to stop dampness and protect perishable plaster or decorative finishes. Of course we are more than happy to advise on correct repair methods, material specifics and our range of professional water seal products / masonry paints, all of which have been outlined in previous discussions. Today however, we want to highlight a forgotten but very significant advantage of protecting your home from damp walls, namely energy efficiency. We all know that as human beings, if we get wet we tend to cool down much faster than if we stay dry. In fact it has been calculated that we cool 25 times faster immersed in water than in air of the same temperature. This is why mountain survival advice focuses on the importance of the right weather proof clothing to keep us dry and warm for as long as possible. Soaked to the skin without waterproofs we lose heat much faster as our body fights to maintain core temperature, wasting vital energy. What is less well understood is that the same principle applies to our homes. If we have damp walls which have absorbed large quantities of wind-borne rain during a storm for example, that water will begin to evaporate as soon as the rain stops. That process of evporation takes heat with it, cooling the wall significantly. This explains why heating systems have to work harder in wet conditions – evaporating moisture saps heat out of our homes and is bad news for energy efficiency. In essence then, a wet wall is a cold wall. Damp walls can lead to a range of problems including; salt damage to plaster, black mould growth, dry rot and ultimately structural timber decay. Even if a wall is not actually leaking moisture back into the living space it can still hold excessive moisture, which cools the wall and often results in “cold spots”, especially in older properties with less insulation. “Cold spots” in turn attract condensation which is simply the process of warm air vapour converting back to liquid when it comes in contact with something cold. We see this when we take a chilled bottle from the fridge and moisture quickly forms on the surface. These cold spots usually occur on the inside of external walls and the condensation they produce is a magnet for fungal growth. Unfortunately, turning up the heating to dry out the wall can actually exacerbate mould growth as it thrives in warm moist conditions. So it is better to prevent the condensation from developing in the first place. So a wet wall is a cold wall and damp walls can cause condensation even if they aren’t actually leaking! ….What to do? The answer is relatively simple; if it is bare brick or stonework, treat it with a professional grade water seal such as “Kingfisher Extreme Climate” or “Kingfisher Stormseal” (if weather is persistently wet). These colourless sealers are easy to apply by brush or low pressure spray and are 100% breathable. Unlike resin sealers they are pore liners, not pore blockers which repel liquid water droplets whilst allowing the much smaller water vapour molecules to escape. Thus you can treat a damp wall to stop further rain ingress, without worrying about trapping any existing moisture. If the wall is a painted finish, you must be diligent about maintaining this and if you know your home is prone to lateral penetrating damp, only use premium grade paints. “Kingfisher Weatherflex” masonry paint gives protection for up to 15 years and has been widely used to control penetrating damp. It is extremely difficult to be accurate on how much energy you will save by protecting your walls from moisture absorption, simply because without X-ray vision we cannot know the full extent of moisture migration into our walls. Infra-red camera surveys and damp meter readings may reveal obvious weak points but cannot provide a full measure and of course the weather itself is infinitely variable. What we can say with certainty is that both practical and academic studies have shown that a dry wall has over 25% higher insulation compared to a wet wall. We also know from experience that well-protected, damp resilient homes feel more comfortable to live in and are less prone to condensation derived problems. As the full effects of storm Desmond are felt across the U.K and especially in Cumbria and the Scottish borders, for many families the clean up cannot even begin until the floodwater subsides. Being based in Cumbria ourselves, we wish everybody affected by the storm well as the county tries to recover once again from severe flooding. The factory is open today and limited orders are being despatched although our carriers have advised that there will be no “next day” service due to the number of road closures and power cuts. Even those lucky enough not have been flooded are not without their problems. The gale force winds and exceptional rainfall have resulted in a spate of structural damage, lost roof tiles and moisture ingress through rain soaked walls. In fact since the rain started falling in earnest over two weeks ago, Kingfisher has seen a dramatic rise in enquiries about how to stop rain driven dampness. We therefore thought it might be useful to prepare a check-list of general advice on dealing with rain soaked walls and damp problems. Even if your home is not actually submerged, flooding in the surrounding area affects the water table beneath your home and can introduce water pressure under walls that might not normally suffer from damp. In normal circumstances rising damp occurs very slowly but if there is water pressure from a rising water table, this process is accelerated, especially with cavity walls and soft brick or stonework. Look for “tide lines” from skirting board level upwards. Advice: This will be beyond the compass of most DIYers and specialist advice should be sought as the walls may require tanking. Move all furniture away from the affected wall to allow air to circulate which in turn will help with drying out. If there are any plug sockets or light switches in the vicinity, isolate the relevant breaker at your main fuse board and seek advice from a qualified electrician. Window cills and lintels above windows often present a partially flat surface for rainwater to gather upon and it is this accumulation of water which creates a weak point for water ingress, through pointing cracks or porous masonry. Perimeter pointing of window frames and doors with mastics/ sealants, is another area of weakness as sealants can degrade over time allowing water to penetrate. Both of these problems commonly result in damp patches appearing under window ledges and above window reveals or around curtain tracks. Advice: Check for “soft” mortar and / or cracks in the mortar joints around cills and lintels. Rake out loose mortar back to sound substrate and re-point with a repair mortar incorporating some “Kingfisher Pointing Solution” for improved waterproofing, flexibility and durability. Similarly with the perimeter window frame mastic, remove any decayed selant and re-seal with Kingfisher “1 for all” hybrid polymer sealant. “Kingfisher 1 for All” bonds even to damp surfaces where silicone won’t adhere. If the walls are bare stone or brickwork, also treat the area with “Kingfisher Storm Seal” water repellent, even if the masonry is still damp. If the walls are painted consider re-coating with a premium grade masonry paint (such as Kingfisher Weatherflex) as soon as weather conditions permit. If there are no obvious cracks in the masonry or around the windows etc. then the problem is most likely that of porosity. This arises when water finds enough micro-pathways in the brick, stone or mortar to fully saturate the wall in one or more locations. This can happen for a number of reasons including soft brickwork, frost damage, defective mortar joints, weak stone etc. Commonly there is one elevation, often a gable end which takes the brunt of prevailing weather. Constant soaking over days and weeks mimics full immersion so that moisture is continually fed into the substrate,eventually finding its way through to the internal walls where it shows up as a damp patch or patches. Advice: Treat the affected elevation by spraying it with a “wet apply” waterseal such as “Kingfisher Storm Seal”. This is relatively easy to apply with a low pressure garden sprayer and must be applied to a damp surface to achieve maximum efficiency. “Storm Seal” is easy to apply and unlike traditional formulations CAN be applied in damp conditions so you don’t need to wait for a perfectly dry day to apply it. If the wall is painted you should consider re-painting the entire elevation with a premium masonry paint (e.g. 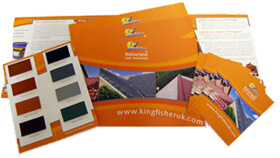 Kingfisher Weatherflex) as soon as weather conditions permit. Chimneys whether “in use” or “decommissioned” are a common failure point for water ingress for various reasons. Chimneys stacks are at the highest point on a house and consequently are more exposed to bad weather. Chimney’s are subject to rapid swings in temperature, depending on whether a fire is burning in the hearth or not, so thermal cracks are inevitable. Decommisioned chimneys are often capped with cement to stop rainwater ingress but over time such caps decay and leaks are common. Advice: Check for “soft” mortar and / or cracks in the mortar joints on the chimney breast and stack. Rake out loose mortar back to sound substrate and re-point with a repair mortar incorporating some “Kingfisher Pointing Solution” for improved waterproofing, flexibility and durability. Use the same repair mix with a little fine aggregate to replace a leaking “cap”. Treat the entire stack and chimney breast area with “Storm Seal” or repaint with “Weatherflex” in the case of painted render, brick or stonework. Another common origin for penetrating dampness is unfortunately “cavity wall insulation” which has been injected or “blown” into cavity walls to improve energy efficeincy. Although this insulating material is supposed to be non-absobent, in numerous houses it has acted as a conduit for moisture to migrate from the outer wall to the inner wall. Advice: You can remove the cavity wall insulation but this involves drilling core holes and is relatively invasive. Before going to that extent, we recommend that you first try the less costly repairs outlined in 2 and 3 above to fully waterproof the outer leaf so that moisture is not getting into the cavity in the first place. Once cavity wall insulation is wet it may take some months to dry out so ear this in mind when assessing whether or not your repair strategy is working! The foregoing list is obviously not exhaustive so if you need further advice, please call our technical help team on 01229 869 100 and we will be pleased to advise you. It also helps us greatly to have a picture of the problem so take a photograph of the problem and attach it to the enquiry form in the “contact us” section of the Kingfisher website. Nothing quite matches natural stone construction for aesthetic charm and durability. There is something profoundly authentic and enduring about a building, quarried from the landscape in which it stands. Whether it is soft Cotswold stone or iron hard Aberdeen granite, these materials blend naturally with their local surroundings, so that the building is almost a natural extension of its environment. However, stone like all minerals is ultimately vulnerable to weathering and such erosion by wind, water and frost takes its toll over time. Damp or moisture ingress is the most common problem afflicting stone-built properties in our wet climate. Leaving aside “rising damp” which typically derives from DPC failure, it is “penetrating damp” which is the biggest source of problems by far. “Pentrating damp” is what happens when your walls stop shedding water and instead absorb it, like a sponge. This is usually a gradual process of decay which typically takes many years. But why does this happen….? In calm, windless conditions, rain falls more or less vertically and has minimal contact with the walls of your home. But in stormy weather the wind drives rain sideways, gradually soaking the walls to refusal. In the U.K we frequently see multiple low pressure fronts stacked up out in the Atlantic, which roll in week after soggy week, as if on a conveyor belt. This constant rain mimics immersion because the wall never gets the chance to “dry out” (evaporate) and there is pressure from the wind, driving the rain into the substrate. Of course most of the rain simply runs off, but some of it is absorbed deep into the stone or mortar joints and it is this which does the damage. Soft materials like the jurassic limestone of the Cotswolds or Yorkshire sandstone have microscopic capillary channels which are especially susceptible to absorbing moisture. Finally the moisture saturates the capillaries and emerges as damp patches on plaster inside your home. Wet stonework and mortar joints are vulnerable to damage from the freeze/thaw cycle. It is well known that water expands as it freezes and this applies equally to water absorbed in your stonework. Just as a glass bottle may shatter when the liquid inside freezes, your stonework surface will crack as water trapped inside expands. Over time this leads to “blown” faces, crumbling mortar joints and further water ingress which then freezes and exacerbates the destructive cycle. Some stone is naturally “porous” which means that the geology of the rocks includes natural micro-channels through which moisture can pass. In addition some stone becomes porous over time through the cumulative effects of the freeze/ thaw cycle. Mortar joints are a common weak point for moisture ingress in stone walls. Older buildings were often constructed using lime mortar which has the great advantage of being soft and breathable which in practical terms means it can absorb movement from the expansion and contraction of other materials such as stone and timber, without cracking. However, lime mortar does not perform well in persistent and prolonged wet spells because it is highly absorbent and will just keep absorbing water for as long as water is thrown at it. This water eventually arrives as damp patches on the indoor plaster finishes. Portland cement mortar joints can also pose problems but for different reasons. Although Portland cement has superior moisture resistance, it is harder once cured than many soft stone types so does not yield in expansion / contraction leading to cracks in the mortar and in some cases the stone. Where stone walls meet hard standing (tarmac pavements, paved driveways, patio flags etc.) the phenomenon of “splash back” occurs, whereby rain droplets crash into the hard standing and splash up the adjacent wall. With sandstone in particular this causes the walls to soak through at a much faster rate than they might otherwise and in the case of buildings beside roadways, corrosive de-icing salts (grit) exacerbate the surface deterioration. This is often mis-diagnosed as rising damp because it occurs lower down the wall. All of these issues result in penetrating damp which degrades plaster and decorative finishes in our homes and also causes secondary problems with dry rot, mould growth and poor air quality. But to effectively combat the problem you need a sealer which will stop the saturation without compromising the ability of the stone to wick moisture away. For this reason “Kingfisher” has developed a range of fully micro-porous or breathable stone and brick sealers. “Extreme Climate”, “Superseal” and “Stormseal” are all pore liners, not pore blockers, which means that they repel water droplet molecules but still allow water vapour to escape. These highly effective professional treatments are the best and most cost effective way to protect your stonework from damp without trapping moisture in the substrate. So, whether it is dampness coming in around a window reveal, your chimney breast or an exposed gable wall, Kingfisher Building Products has the experience to help you diagnose the problem correctly and the products to resolve the problem without ever compromising the breathability of your walls. keyboard_arrow_downBanish mould and breathe easy! Experts can’t agree 100% on why asthma and allergies are on the rise, but many health professionals believe that our increasingly sanitised and controlled living conditions hold the key. Modern cleaning methods result in reduced exposure to many allergens and this could inhibit the development of our immune response to dust and other micro-particles. Moreover, during winter our dependence on central heating often reduces air quality as we close windows and seal up draughts to keep warm and save energy. Whatever the primary reasons for the increase in allergies and respiratory conditions, there is no doubt that the problem is exacerbated by the explosion of black mould outbreaks in our homes. Black mould may only be a primitive fungus, but like all fungi its ongoing survival depends on spreading its spores to colonise new areas. It is these invisible spores, packed with allergens, which released into the air can trigger asthmatic wheezing and other allergic reactions. But shouldn’t mouldy walls be a thing of the past, confined to dank, cheaply constructed housing projects???….. Well sadly not, because if conditions are right, black mould will thrive anywhere from an inner city tower block to the most palatial penthouse in Mayfair. All it needs is too much moisture and too little ventilation. And this is where the current problem with air quality really lies. To a greater or lesser extent we are all being driven by government, environmental lobbyists, not to mention tightening domestic budgets, to insulate and upgrade our homes for improved energy efficiency. This highly persuasive “win-win” argument is perfectly sensible in and of itself. After all why would you not want to make a modest investment, in triple glazing or “double deep” loft insulation to save money and perhaps the planet? However, in this dash for environmental “Brownie points”, we are creating “sealed box” living spaces with little or no thought to air quality. Before the advent of double glazing and loft insulation, houses were naturally draughty and it was those annoying draughts which actually maintained the air quality. Modern air-tight window frames, cavity wall insulation, storm door sets, and loft insulation all conspire to stop air movement. At the same time, we have never generated more moisture vapour in our homes; power showers, baths, cooking, fast boil kettles, washing or drying clothes and even breathing. All these elements increase the moisture content of the air we breathe in our homes every day. And where does all this steam and moisture vapour go? Some escapes to atmosphere but much condenses back to water on cold surfaces like windows, tiles, and cold outside walls, where it frequently results in an outbreak of black mould growth. Mould will grow anywhere it can get a regular supply of moisture and a nutrient source – which can be plaster, emulsion paint, dust, wood or fabric etc…And black mould positively thrives on a third element – warmth. 1. In bathrooms, check that the extractor fan is working efficiently, as they are prone to becoming blocked with fluff etc. It may be worth investing in a more powerful extractor as these are not especially expensive and can shift a lot more moisture-laden air than the basic units. 2. In kitchens, ensure that the cooker hood extractor fan is working properly and change the filter regularly. Open a window when cooking. 3. In all rooms fitted with traditional brick vents, ensure that these are not covered up either deliberately against draughts or by the accidental positioning of furniture. Note: If you really can’t put up with the draught from a standard brick vent, these can easily be replaced by modern “passive” brick vents which can be installed with minimal disruption/cost, are draught free (one way airflow principle) and don’t need any power supply. 4. In laundry areas where clothes are drying, try to have a “through” draught. This can be achieved by having a couple of windows opened on the first catch or by installing an extractor fan. 5. Where double glazed windows are fitted, ensure that the “trickle vents” are open whenever airborne moisture levels are likely to be elevated. When buying or specifying double glazing never be tempted to skimp on trickle vents, they are absolutely essential. 6. A common problem is mould growth behind wardrobes or other furniture placed tight against external walls of your home. Try to leave an air gap so that air can flow freely behind furniture. 7. Wherever you treat mould on painted surfaces, you should re-paint with an “anti-mould paint”. You can mix Kingfisher “anti-mould paint additive” into a standard emulsion paint OR our “Thermapaint Anti-mould” range is both an “anti-condensation” paint and “anti-mould” in one. “Thermapaint Anti-mould” is available in a full range of attractive Lakeland colours. Having resolved the causes of your mould outbreak, improved the air quality in your home and treated the residual symptoms, you and your family can now breathe easy. Concrete, it’s the flooring of choice for garages, utility rooms, sheds, kennels, workshops, stores and much more besides. Hard wearing, even surfaced (usually!) and load bearing, concrete flooring is endlessly versatile in domestic, commercial and industrial situations. But it is not always beautiful and all concrete can become fragile if it is not well maintained. In fact concrete is vulnerable to more than we often realise including – moisture contamination, heavy or regular abrasion, chemical spillages, frost, de-icing salts and even ammonia in kennels or stables. So how do you protect and decorate a concrete floor whilst retaining the durability, versatility and toughness that is the very hallmark of concrete? The answer is that you need a coating which exhibits the same tough characteristics as the concrete you are applying it to! ….And that means an epoxy paint. Kingfisher Epoxy Floor Paint is hard wearing, easy to clean, chemical resistant and crucially it won’t flake off at the first sign of muddy feet or tyres. Unlike standard floor paints, Kingfisher Epoxy Floor Paint is a two pack system comprising a resin and an activator. Mixed together these two components form a highly adhesive coating which cures to an attractive hard shell finish. Epoxy paints were originally conceived for harsh industrial applications so the resultant premium grade resins and pigments are designed to survive the rigours of production facilities and professional workshops. Older floors will generally need more preparation, but time spent at this stage will massively improve the final result. Remove all furnishings, equipment and materials from the floor space and thoroughly clean the floor surface. The extent of cleaning required will depend on both the type of contamination and how extensive that contamination is. Organic dirt and grime from foot traffic can normally be removed with hot water and detergent worked-in with a deck scrubbing brush or alternatively a mechanical pressure washer. Accumulations of dust should ideally be vacuumed before washing to avoid unnecessary particle absorption into the substrate. Floors suffering from oil or chemical contamination can be effectively cleaned with de-greasing cleaner such as Kingfisher “Bio 3”. Once your floor has been cleaned, examine the surface for any defects such as gouges, cracks or holes. Minor cracks can be filled with Kingfisher 1 for All EXTREME MS Polymer sealant which is a cartridge applied sealant. Larger holes can be reliably and permanently filled with Kingfisher Tuff Patch which is an epoxy concrete repair mortar. Both of these products are fully compatible with Kingfisher Epoxy Floor Paint. Before answering this question it is useful to understand that although concrete cures sufficiently for light traffic within about 24 hours, the curing process continues in most cases for many months (approx. 1 month per 25 mm thickness). So moisture continues to evaporate as the concrete cures and must be allowed to escape. You can “seal” a new concrete floor within 24 hours of pouring it, as long as the sealer you choose has a degree of breathability. Typically you should only apply one coat. e.g. Kingfisher Floor & Wall Sealer or Ultimate Topcoat. This will provide the surface with an initial protection and is the ideal primer for subsequent application of Kingfisher Epoxy Floor Paint which should ideally not be applied until at least 8 weeks after the concrete was poured. If the floor has been in use in the interim period, make sure you wash it clean and allow to dry before painting. Measure up the total floor area to calculate roughly how much Epoxy Floor Paint is needed for each coat. You should only mix up what you need and whilst the temptation is to pour all of the activator into the resin pot, this will result in waste if you don’t use it all because the pot life is only about 1 hour at an ambient temperature of 20 degrees C! Tip - If you decant equal portions of resin and activator into a separate clean container you can limit waste. Mix the liquid thoroughly, ideally with a power paddle and apply by brush or roller. For a neat finish it helps to “cut in” the perimeter edges by brush and then apply by roller to the larger floor area. Two coats are essential for the best finish and once cured you will have a stunning looking floor which will provide the ideal background to any showroom, garage or workspace for years to come. The latest interior design trend to feature in homes and this season's style must-have: an exposed brick wall. Just have a read through some of the latest design inspiration blog articles and magazines to see an abundance of feature brick wall designs. Why all the fuss? New York, spiritual home of the bare brick wall. There, no west village or Tribeca apartment would be complete without an aged, red brick wall. This interior design feature craze has now made it to this side of the Atlantic and is apparent these days when you walk into many hip restaurant, shop or hotel. Exposed brick is a fashion statement. Stand out and textural, it stands alone in a way a painted plasterboard or plain wall does not. Less is more with this design feature: You should limit your feature brick to one or two walls at most or you’ll be at risk of a cold feeling space with not much in the way to absorb sound. Exposing a Brick wall in your home is not always guaranteed to look the way you imagine, often when a building contractor constructs a building, they will reserve the best looking bricks for the external walls, as the internal bricks were never meant to be on show. So you may find when you hack away the plaster the wall you are presented with doesn’t satisfy the look you were after, if this is the case, why not use some of our Kingfisher Smooth or Textured masonry paint. A bright internal painted brick wall can offer as good a look for your home, accentuating the irregularities and shadows cast by the brick and is a nice feature in its own right. Bare brick walls are traditionally found in living, dining and sleeping spaces, but don't forget the kitchen and bathroom, where it's a warming foil to sleek units and white sanitaryware, our solution for sealing is non-hazardous so can be used anywhere in the home..
Bare brick might be having a fashion moment, but it's timeless – and a timeless feature needs protecting…. Kingfisher Building Products own Interior Brick & Dust Sealer is a breathable (vapour permeable) surface treatment which stops the troublesome "dusting" typically associated with brick feature walls and decorative interior stone. Older bricks commonly deposit red dust in their vicinity because heating dries out the clay surface, encouraging fine particles to lose adhesion and detach. Soft stone and cement or lime mortar joints are similarly vulnerable. Interior Brick & Dust Sealer offers a cost-effective and lasting solution to the problem by binding and sealing porous or friable surfaces with its penetrating clear acrylic ester formula. It typically darkens the surface very slightly, often enhancing the substrate colour. In most cases one coat is sufficient for dust control but two coats can be applied for enhanced surface protection against liquid staining. Suitable as a feature wall and non-flammable fireplace sealer on most mineral based substrates. For interior stone that needs sealed, the process is slightly different, which we might touch on in another blog post, but we also have an interior stone sealer for exactly that purpose. Why not have a look at our Exposed Brick Wall board on Pintrerest? It's full of beautiful exposed brick walls for inspiration. One of the most common damp problems afflicting buildings in the UK is rain-driven moisture soaking through porous stone, bricks or mortar. This is especially so during pronlonged periods of wet weather such as Scotland and Northern Ireland have endured in recent months. The heavy rain mimics constant immersion, saturating soft masonry especially old pointing, sandstone, limestone and clay bricks which can absorb water like a sponge. Initially this saturation is confined to the external surface of the building but over the years water gradually forges its way ever deeper into the walls until finally it shows up on the inside as damp patches on the internal plaster finish. This dampness ruins the decorative finishes and often promotes mould growth and other more serious fungal infestations of the structural timbers. However, it is often much easier to rectify than people think by simply applying a premium grade water repellent such as our "Extreme Climate". In fact this is one of the rare occasions in life when the cheapest solution is often the best!! 1. Is water seal breathable? Yes, Kingfisher "Extreme Climate" is 100% microporous. Yes, "Extreme Climate" water seal can be applied over small areas (less than 50 sq m) by brush or over larger areas with a hand pump solvent resistant sprayer. Typically it will hold back lateral penetrating damp for 10 years. 4. Will it trap moisture in my stone or brickwork? No, it uses similar fluoropolymer technology to that found in modern waterproof jackets so it repels water droplets whilst allowing the much smaller water vapour molecules to evaporate freely. 5. My property is a listed building, will building control permit me to use a water seal? As long as you can demonstrate that the product is 100% microporous by referencing the data sheet for "Extreme Climate" (on our website), there should be no objection to using the product. BCOs and architects should be aware that products based on fluoropolymer, polyoxo aluminium stearate or siloxane chemistry are ALL fully vapour permeable. Kingfisher manufactures all types, please ring for project specific advice. 6. Is "Extreme Climate" water seal compatible with lime mortar? Yes, it offers excellent performance on walls pointed with lime mortar. 7. We have just re-pointed using lime mortar , why is damp still coming in during heavy rain? We have lost count of the number of customers who have undertaken expensive re-pointing with lime mortar in an effort to stop penetrating damp only to find that such work has provided little or no improvement. Lime mortar is an admirable material with deisirable qualities of vapour permeabilty and flexibility, especially in hstoric buildings but in our experience its water resilience in punishing conditions is often lacking. Apply "Extreme Climate" water seal to enjoy the benefits of lime pointing wihtout the headache of penetrating damp. (Allow the mortar to cure for at least 14 days before application). 8. Will water seal bridge cracks in the masonry? "Yes" and "No". Yes it will usually repel moisture from ingressing through hairline cracks (less than 0.5mm) but any wider cracks should first be repaired by re-pointing or other conventional methods. 9. I can see where damp appears inside my property but there is no obvious defect visible outside, how do I know where to treat? The honest answer is that if the problem persists after reapairing obvious cracks and re-sealing window frames etc, it can be very difficult to pinpoint precise problem areas. Even experienced surveryors and structural waterproofing professionals can't always predict the path of moisture in a wall becasue there are so many variables (voids in random stone, bridged ties in cavity walls, weak mortar mix, porous stone etc..). However given that the material cost to treat a typical 50 sq m elevation is likely to be under £135 it is often not worth engaging in expensive or destructive surveys until you have tried "Extreme Climate" water seal first. If the problem persists you will at least know that porous masonry is not the problem and you can explore rising damp, leaky roofs or defective pipework as potential sources. 10. The description says it is a "one coat application", can I apply additional coats if I wish to? Once cured the fluoropolymer in "Extreme Climate" water seal does not bond well to itself, so unless the surface is very exceptionally porous (some sandstone, very old clay bricks and artificial stone) we do not recommend additional coats. Hopefully you will find this snapshot of questions useful but you are welcome to contact us for further guidance on any of the issues discussed above either by calling us on 01229 869 100 or via the enquiry form on our website. keyboard_arrow_downLimestone Paving - Don't black out!! Limestone paving has grown in popularity in recent years and is widely available from builders' merchants and DIY outlets. Although it is available in a broad range of colours, black and slate grey seem to be very much in tune with current fashion trends. However, there is one problem with "black" limestone - and that is it doesn't seem to stay "black" for very long.... In fact the deep "black" seems to fade out in a few months leaving a sort of "battleship grey" shade. Unfortunately many sellers of this paving seem to have a "black out" about this "black out" issue and customers don't find out until several months down the line. Whether the true culprit is U.V light degradation or rain penetration is probably unimportant, the one question that callers to our advice line ask is; "can faded limestone be fixed???" Well the answer is "yes". Sealing it with Kingfisher "K-Seal" brings out the colour and adds protection because the first coat actually penetrates the substrate of faded limestone whilst the second coat forms a protective seal against the elements, deepening the colour. Beware cheap sealers or "enhancers" - these are often low grade formulations made with "Linseed oil" diluted in recycled white spirit and simply will not provide any longevity. "Kingfisher K-Seal" by contrast is a professional formula acrylic resin suspended in premium virgin solvent. Ideally you should leave new limestone paving for 4 to 6 weeks before sealing it. This will allow time for any efflorescence (white salts) in the pointing mortar (joints) to develop as the mortar fully cures (approx. 1 inch per month). Wash the paving with warm water and a little soap and rinse thoroughly. Apply the sealer only to a dry surface and in dry conditions with no rain expected. You can apply by brush but disposable roller works best. Avoid "ponding" of the sealer and read both the product data sheet and safety data sheet carefully before use. Several customers have asked recently if they can apply our Extreme Climate water seal over masonry paint or even underneath it to stop rain driving through their walls. Usually this question arises because re-painting hasn’t worked and the problem has come back. However there are some key points to bear in mind before trying “mix and match” solutions…. 1. Quality Masonry Paint works! 2. Use “Stabilising Solution” NOT “Water Seal”! When preparing the surface remove any loose paint and prime the surface with Stabilising Solution to ensure that the new paint can “key” into the substrate. This improves the quality of the paint finish and the water resistance. DO NOT prime with “water seal / repellent” as these are formulated to shrug off water droplets. Masonry paints are water based and will simply not stick to a surface treated with “Water Seal”. 3. Check for cracks and defects. It is surprising how far water will travel through a wall. A crack in one place can show up us a damp patch several feet away inside the building. Re-point any decayed mortar joints to make good before painting. Also check for leaky gutters and decayed downpipe fixings as other pathways for water. If you have any questions about how to diagnose damp walls, feel free to call us for guidance. At this time of year our technical support are often asked "how do I fix cracks in my new concrete??" Well, the tongue-in-cheek answer is that "prevention is better than cure......so avoid getting them in the first place"!! Pouring concrete accurately can be a tricky job at the best of times, but high summer temperatures increase the likeliehood of shrinkage cracks, if you don't take precautions. So whether you are a specialist contractor forming concrete in a multi-storey apartment block or a DIYer laying in a garage base, you need to understand the issues around hydration and shrinkage. But apart from the obvious precaution of designing in expansion joints, the danger of concrete drying out too fast and cracking is more common than most people think. So what causes shrinkage cracks? Well if we look for example at a 100mm concrete base, the top 50 mm closest to the air and sun's warmth cures faster than the bottom 50mm in contact with the cold ground, isolated from air. Inevitably this 2 speed curing creates a tension between the top and bottom layers. The top layer shrinks slightly as moisture leaves through evaporation but it is bonded to the slower curing bottom layer which hasn't shrunk. The inevitable result is a tear or crack. However, by simply applying Concrete Curing Compound soon after the concrete is poured you can alleviate this problem by slowing (retarding) the moisture evaporation rate. Slowing the water loss, regularises the curing and improves hydration of the concrete which in turn makes it stronger. Kingfisher K-Seal Curing Compound is easy to apply by low pressure spray or roller, reduces shrinkage cracks, makes for a stronger mix and creates a usable dust-free surface. This is the time of year when we all clean our drives and patios to make the best of our lamentably short summer - especially those of us who live in Scotland! But what can you do with really old block paving that has lost its sparkle, even after washing? Well the answer may be Kingfisher Restore-A-Drive, our advanced block paving sealer with the latest high intensity light fast pigments. Restore-A-Drive is a paving sealer with a difference formulated to actually replace lost colour and then seal it in. Older paving loses colour from abrasion, U.V light fade, rain and the freeze /thaw cycle, leaving an unattractive greyish tinge even after pressure washing. But Restore-A-Drive delivers a carefully blended pigment deep into the surface for an authentic look which enhances the existing textures and colour tones. Unlike paint, Restore-A-Drive will not flake because the resin formula stain is designed to penetrate into the paving surface to seal, protect and colour your paving in one easy application. To make it really easy to check whether Restore-A-Drive is the right paving sealer for you, we have made it available in handy tester pots for only £1.50 plus VAT and postage. As always please ring for technical support if you need advice! Our ever-popular K-X10 5 year wood stain has been on special offer this month and will now be extended until the end of August. This gives you even more time to complete those essential summer maintenance tasks at bargain prices. Whether you are face-lifting an old outbuilding or decorating a new summer house, protect your investment with Kingfisher. K-X10 5 year wood stain comes in an extensive range of colours from rich mahogany to the contemporary shades of light oak and black. ...and at £31.95 plus VAT for 5 litres it represents outstanding value!!! keyboard_arrow_downThe truth about roof coating "scams"
Recently customers have expressed concern about various web articles and websites condemning roof coatings and "roof coating scams". Whilst it is certainly true that there have been some questionable claims and selling practices by a few rogue traders, there is a real danger of "throwing the baby out with the bathwater". After all the double glazing industry had a reputation for dodgy traders but no sensible person would suggest that all double glazing is bad. We therefore thought it was time to bring some "Kingfisher" common sense to this "debate" as a respected manufacturer of structural waterproofing products and trainer of installers. Roof coatings are just another tool for home maintenance like masonry paint for walls, and as with all surface coatings correct preparation is essential to the success of the job. We are therefore careful to train our "approved applicators" to follow a system which delivers consistent results. We appreciate that not everyone buying our roof coatings is "approved" or necessarily experienced which is why we detail the procedures in our product data sheet published on our website for anyone to read. This covers pressure cleaning the roof, remedial repairs, surface biocide treatment and correct methods for coating. You will find a good deal of commonality in recommended preparation across all manufacturers. 1. Will pressure washing damage my roof tiles? No, not unless they are in exceptionally bad condition to begin with, which is somewhat rare. Of course there is a partially destructive element to all surface preparation whether it be sanding timber or abrading rusty steel and having embarked on the preparation it is naturally sensible to follow through and complete the job. After all a car bodyshop wouldn't repair a rusty panel and leave it unpainted! 2. How do I find a reliable roof coating contractor? Approach a reputable roof coating manufacturer and ask for the names of a couple of contractors in your area. It varies according to the type, condition, pitch and size of roof, access and geographical location. An average 100 sqm roof with normal access will typically take 2 operatives, 2 days to clean and re-coat weather permitting. There may be additional time for replacing any damaged tiles or re-bedding the ridges if required. With material cost of around £250+VAT plus equipment overhead and trade labour rates averaging around £15 to £18 /hr a contract price of £800 to £1200 is perhaps a reasonable guide. As always if it looks too good to be true, it probably is! 4. I have been told that I can get a "thermal" insulating roof coating, does this work? No, this really is a scam. Heat reflective coatings will only reflect heat away from the roof i.e the sun's rays. Roof coatings applied on the outside of roofs do not insulate! Avoid any contractor or salesperson pedalling this concept! Kingfisher "Approved Applicators" can offer a 10 year guarantee. 6. Will a roof coating stop moss growing on my roof? Moss needs both moisture and a nutrient source to grow. Old saturated concrete tiles provide both but "Kolourseal" coated tiles resist moisture ingress and isolate the organism from the nutrient (sand in the concrete). Over time of course wind-borne dirt accumulates in crevices on your roof so beware sellers who tell you moss will never grow on your roof again but be confident that your newly coated roof will retain its appearance for years to come. To sum up, roof coatings are just another part of building maintenance. They can provide cost effective water-proofing and a vast improvement in the appearance of your home without rippiing off tiles which are otherwise perfectly serviceable. But beware the cowboys! keyboard_arrow_downKingfisher to exhibit at "Build"! Kingfisher will be exhibiting at "Build" in early October of this year. "Build" promises to be the largest building and construction fair to be staged in the U.K since the last "Interbuild" back in 2011. We look forward to welcoming many of our customers from all over the country at what should be a showcase for an increasingly confident construction sector. keyboard_arrow_downKingfisher invests in the future! "CLP" is the most comprehensive change to how we label chemical products in a generation and aims to harmonsie hazard labelling across the EU. From washing powder to wall coatings, the changes are far reaching and profound, changing all of the familiar orange and black hazard symbols as well as re-classifying many of the products we use every day. In order to meet the deadline (1st June 2015) Kingfisher has invested in new software to help us create fully compliant material safety data sheets (MSDS) and labelling for products covered by the new legislation. As part of the process we have also undertaken a coomprehensive review of all our raw materials to ensure accuracy of data inputs from our supplier base. Work began over 12 months ago and has been a significant undertaking to ensure that our customers can reference compliant labelling information on our containers and MSDSs to meet their legal obligations to their staff. Please note that there will be some "cross over" whilst existing stocks are used up and this is acceptable under the legislation for 12 months so you do not need to purge existing stock or indeed new stock that was made before 1st June 2015. If you require background reference, please refer to the HSE website and if you have a product -specific question, please e-mail us via the contact page on our website. Home owners are being urged to re-paint their properties to tackle the spread of black spot mould before falling autumn temperatures see the return of conditions favoured by the persistent fungal growth. Black spot mould causes unsightly marks on walls, ceilings and floors. However, it is also a potential health hazard, with its airborne spores linked to numerous health issues including respiratory conditions such as asthma. Any property offering air moisture and a nutrient source such as plaster, paint or wood is susceptible. However, house holder behaviour - including keeping windows tight shut, turning on the heating full blast and drying wet clothes indoors - can greatly enhance conditions for the fungus. Traditional cleaning and re-decoration using standard emulsion is typically ineffective with the mould growing back, usually in a matter of weeks. Now, damp and mould specialist Kingfisher UK is highlighting the issue with the nationwide launch of a new dual-action anti-mould premium emulsion which will tackle both the symptoms and causes of black spot mould growth. Designed and manufactured exclusively by Kingfisher UK, Thermapaint Anti-Mould Paint draws on the Cumbrian company's extensive experience of providing effective solutions to damp-related problems. Combining microsphere technology with the latest fungicidal chemistry, this unique premium paint robs black spot mould of moisture whilst forming an active-film fungicide to deter further infestation. The key to its effectiveness lies in the emulsion's insulating properties, as Kingfisher UK Managing Director Gordon Grainger explains: "Black spot mould commonly occurs on colder walls. This is because cold surfaces attract moisture, forming condensation. Together with a nutrient source such as paint, plaster or wood, this is all mould needs to thrive. Thermapaint Anti-Mould Paint raises the surface temperature of the wall, and thus reduces the formation of condensation by 96%, thereby making the surface no longer attractive to the fungus. "By combining our Thermapaint technology with Kingfisher UK's fungicide expertise, we have created what we believe to be one of the most effective solutions to black spot mould. The quality, price and ease of application mean this paint is accessible to most homeowners, landlords and tenants. With autumn on its way, now is the ideal time to tackle black spot mould before the colder, damper weather provokes the moist indoor conditions so favourable to the spread of this unsightly, unhealthy blight on homes throughout Britain." The advent of autumn sees the nationwide launch of a new colour range for Thermapaint Anti-Mould Paint. Previously only available in standard Brilliant White and Magnolia, Kingfisher UK has developed a 12 colour palette inspired by the Lakeland landscape surrounding the Cumbrian company's head office. Hues such as Elterwater Blue, Langdale Lilac and Patterdale Primrose are now available for direct purchase from Kingfisher UK's online store. "Having initially trialled the product in the standard colours, we are delighted to launch this new collection of twelve attractive colours," added Gordon. "As well as offering greater flexibility, this will also mean our customers can save further on repeated re-decoration costs. Plus as a proud Cumbrian company we are particularly pleased to honour our heritage by developing a palette so inspired by one of Britain's most beautiful landscapes." Kingfisher UK's Thermapaint Anti-Mould Paint may be applied as any standard emulsion by roller or brush and is priced £33.58+vat for 5L. Colours are Ambleside Blossom, Borrowdale Stone, Brilliant White, Derwent Sky, Elterwater Blue, Langdale Lilac, Magnolia, Patterdate Primrose, Silverdale Sunrise, Tarn House Green, Ullswater Mist and Wild Foxglove. Testers (75ml) are also available at £1.50+vat. All are exclusively available at www.kingfisheruk.com. Kingfisher UK's Top Tips: Treating Black Spot Mould Black Spot Mould is the creeping menace lurking in almost all properties, a fungal infestation thriving on the condensation which, thanks to modern insulation, heating and lifestyles, is prevalent in our homes. As well as causing unsightly black marks, and thus inevitable redecoration costs, black spot mould is also linked to many health concerns, leading to complaints and, in extreme, cases legal action. Always clean affected areas with a special fungicidal wash such as Kingfisher Mould Cure (1L - £12+vat). Regular household cleaners may remove the visible black marks (for a while at least), but they are unlikely to kill the spores already embedded in and behind your paint, walls, plaster, skirtings and tiles. In fact, wiping without an appropriate fungicide will merely spread the spores thus facilitating further infestation. Using a specialist fungicidal wash, wipe or sponge at least 1metre past the obvious contaminated area to sanitise invisible concentrations of spores around the perimeter. Do not worry if some black staining remains - Mould Cure renders the mould inert and ready for painting. Prepare the area for painting - fill any cracks with decorators' filler, and ensure the surface is clean, dry and smooth before proceeding. Re-decorate by applying a specialist anti-mould paint such as Kingfisher Anti-Mould Paint (5L - £26.30+vat) - or add an anti-mould additive such as Kingfisher's Anti-Mould Paint Additive (120g -£8.35+vat) to your own choice of paint. Further reduce the risk of black spot mould recurrence by applying Kingfisher's unique dual action Thermapaint Anti-Mould Paint (5L - £33.58+vat) in a choice of 12 Lakeland colours, and enjoy additional insulation and energy saving benefits too. Do all that is practical to improve airflow - e.g. open or vent windows, clear brick vents, avoid sudden temperature increases, dry laundry outdoors whenever possible. In rooms where moisture is particularly prevalent, consider the installation of an energy efficient Heat Recovery Room Ventilator. These units provide a continuous air charge, replacing stale, moisture-laden unhealthy air with filtered, fresh warm air from outside. For further FREE technical advice on these or other Kingfisher UK products telephone 01229 869 100 or 0141 353 6996. 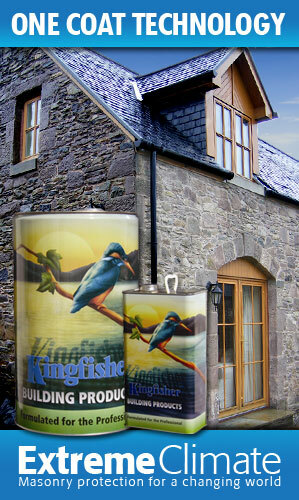 Kingfisher UK is a British manufacturer of a wide range of building products, with particular expertise in damp and water-resistant technology. Based in Ulverston, Cumbria with a distribution office also in Glasgow, over the past twenty years the business has earned an excellent reputation for the development, formulation and manufacture of high quality special coatings and renovation products, from basis sealants to complex waterproofing systems. Today, Kingfisher UK supplies customers throughout the UK and overseas, with all of its products exclusively available online at www.kingfisheruk.com and related websites, as well a specialist training (trade only) and a free customer helpline offering technical advice.